Sell Pokerstars Tournament Dollars - Best $T rates available! We have a fully automatized system which makes it really easy and quick for you to sell your pokerstars T$ tournament dollars for a great value! We buy your T$ for 97%. If you don't know how to get tournament dollars, read the faq below. Please only submit after you have initialized the transfer on Pokerstars! See below for instructions. To initiate the transfer on PokerStars, open the PokerStars main lobby, then on the right side-bar choose "Tools" icon that looks like a pair of mechanical tools. Then on the left side select "Transfers & Trades", then “Sell Tournament Money”. In the dialog that appears (Sell Tournament Money), enter the required information. In the “Sell to” field, enter the account name TLPTrading. For “T$ amount,” enter exactly the same amount you indicated on the Liquidpoker request form. In the “Price $” box, type the amount that you were given from the “You get” box on the request form. Once this is completed, we will confirm the transaction. After that you’ll receive your cash! What are T$ and how do I get them? T$ are “tournament dollars”. You earn T$ by qualifying for tournaments on PokerStars, and then unregistering from them. So, for instance, if you play in a 5400 FPP single-table satellite to the Sunday Million and qualify, then you unregister for the next Sunday Million, your cashier will display a credit of 215 T$, which you can use toward playing in any regular tournament. How do I get T$ credited to my PokerStars account if I’ve recently won a satellite? 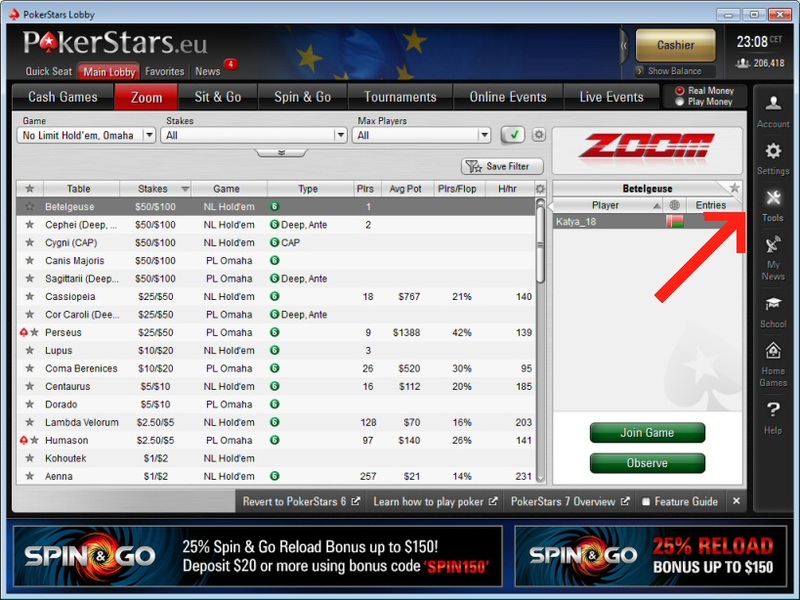 From the PokerStars lobby, select “Registered in Tournaments” from the “Requests” menu. You will see a list of tournaments in which you’re currently registered. Click on any one of them, and go to the tournament lobby, and then click “unregister.” After doing this, your Cashier window will show the T$ credited to your account. What are your transfer rates, and how do they compare to competitors? Our competitors offer lower T$ rates at the brackets we have provided. Liquidpoker maintains the best exchange rates available. How do I know that my transaction is safe? 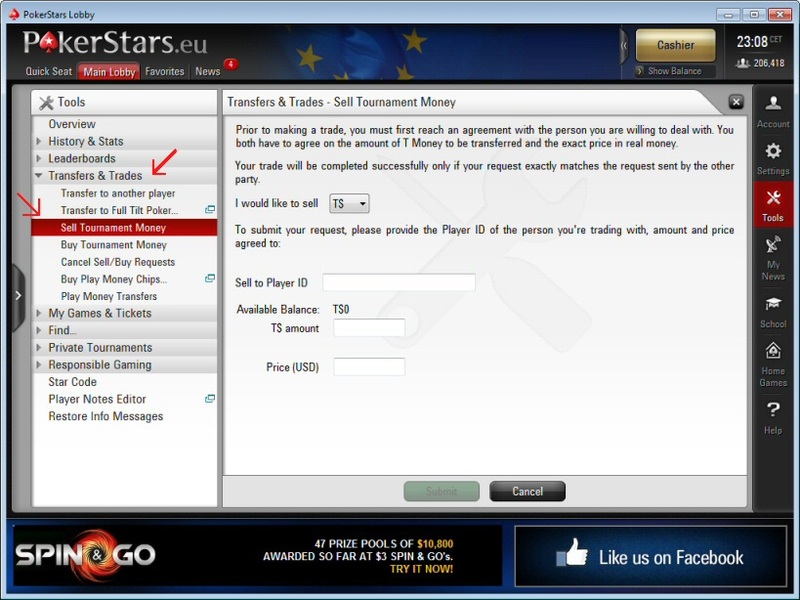 The process of the transaction occurs through the PokerStars lobby. This sale is mediated by PokerStars itself, which means that the PokerStars software does not allow any unsafe transactions. Your security is guaranteed by PokerStars’ trading system. Are there limits to the amount of T$ I can sell? You can sell any amount you want. When will my sale be completed? We have an automated system that will complete most transactions in just a matter of minutes.